There's no shortage of prescriptions for restlessness out there: Seek adventure. Live your life. Don't hold back. 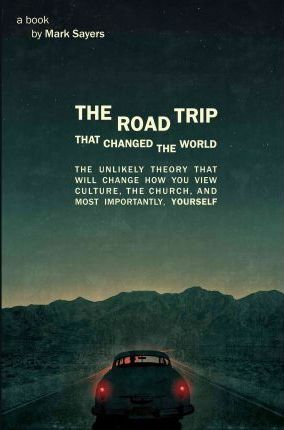 The Road Trip that Changed the World is a book challenging the contemporary conviction that personal freedom and self-fulfillment are the highest good. Like the characters in a Jack Kerouac novel, we've dirtied the dream of white picket fences with exhaust fumes. The new dream is the open road--and freedom. Yet we still desire the solace of faith. We like the concept of the sacred, but unwittingly subscribe to secularized, westernized spirituality. We're convinced that there is a deeper plot to this thing called life, yet watered-down, therapeutic forms of religion are all we choose to swallow, and our personal story trumps any larger narrative. This is the non-committal culture of the road. Though driving on freely, we have forgotten where we're headed. Jesus said His road is narrow. He wasn't some aimless nomad. He had more than just a half tank of gas--He had passion, objectives, and a destination. Jesus said His road is narrow. He wasn't some aimless nomad. He had more than just a half tank of gas - He had passion, objectives, and a destination. Sayers is stunningly familiar with the canon of our culture and the light he sheds sometimes floors the reader. Floating between the United States, the UK, Japan, and Australia, he makes the regular holy, which is most tragic when we find that our Christian worlds have often made God familiar. Sayers presents us with a compelling analysis that for some may prove to be the beginning of coming to know the sacrificial love of Jesus Christ. For others, the book may be a refining word from God that shows up just how temporal a road trip mindset is.